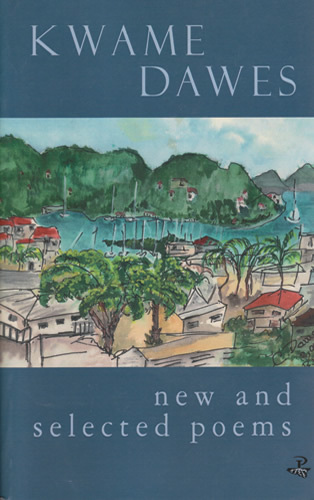 Since Kwame Dawes first published his prestigious Forward Poetry prize-winning Progeny of Air in 1994, six further collections have followed which have changed the face of Caribbean poetry. New and Selected Poems contains a generous selection from all these volumes, and a book's worth of new poems. There are the poems of displacement and loss of Resisting the Anomie, the vibrant, unstoppable narratives of Prophets (a dramatic celebration of the resources of Jamaican popular culture as well as an exploration of the ambiguous nature of inspiration and prophecy, both religious and literary), and Jacko Jacobus (a dub reggae version of the Biblical story of Jacob and Esau, where prophecy meets anancy tricksterism), the concentrated lapidiary poems of Requiem (‘shrines of remembrance’ for the millions of victims of transatlantic slavery), the autobiographical poems of Progeny of Air, the questioning psalms and reggae poetry of Shook Foil (poetry walking the bassline), the explorations of the complexity, pain and enrichment of inheritance in Midland (winner of the Hollis Summers Poetry Prize in 2001); and there are the new poems that in their frank meditations on family and individual trauma comment revealingly on the themes and concerns of the earlier collections.